How to set tolerance detecting blank pages in PDF and TIFF files? Many of us come accross the problem of blank pages in scanned TIFF and PDF files. Luckily, CoolUtils has created TIFF PDF Cleaner able to detect blank pages and delete them. Moreover, you can set appropriate tolerance detecting blank pages. 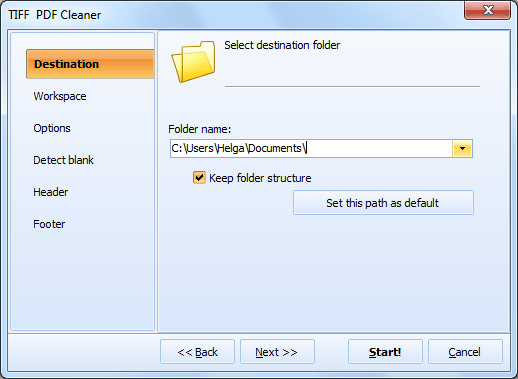 Double-click on the program's desktop icon or choose "TIFF PDF Cleaner" from the Start menu. Select the folder where your PDF or TIFF files are stored. Then tick off all the files you wish to convert and/or split. 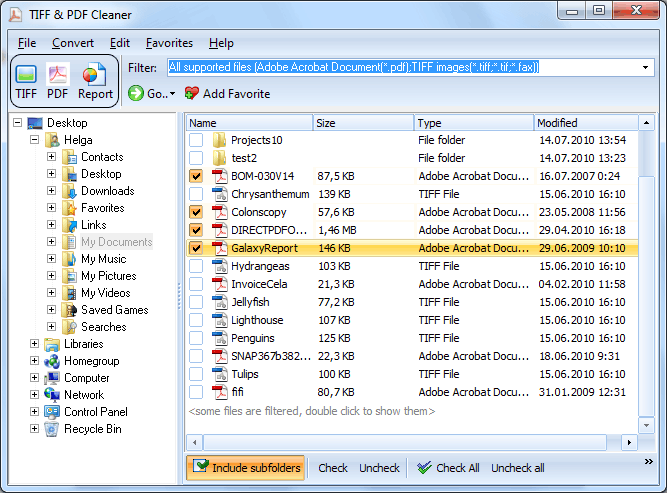 The list of files and folders is generated by TIFF PDF Cleaner automatically. If you wish to convert files, set the target format (PDF or TIFF). In a new window, select the "Detect blank" option to detect blank pages. Choose the tolerance on the scale of 1 to 10 and crop borders tolerance on the scale of 0 to 255. In the "Workspace" section, select the workspace in pixels to analyze pixels. When you are done with all the settings, click "Start" to begin automatic processing of files. 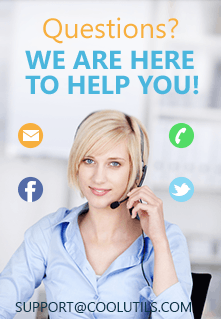 Get your copy of TIFF PDF Cleaner. It will take the head ache out of your routine with PDF and TIFF files. You are on the safe side - extracted pages can be saved for your manual check (which is really fast!) later. The license does not expire, no subscriptions or hidden payments.